In the prehispanic Southwest, Pueblo Grande was the site of the largest platform mound in the Phoenix basin and the most politically prominent village in the region. It has long been held to represent the apex of Hohokam culture that designates the Classic period. New data from major excavations in Phoenix, however, suggest that little was "classic" about the Classic period at Pueblo Grande. These findings challenge views of Hohokam society that prevailed for most of the twentieth century, suggesting that for Pueblo Grande it was a time of decline rather than prosperity, a time marked by overpopulation, environmental degradation, resource shortage, poor health, and social disintegration. During this period, the Hohokam in the lower Salt River Valley began a precipitous slide toward the eventual abandonment of a homeland that they had occupied for more than one thousand years. This volume is a long-awaited summary of one of the most important data-recovery projects in Southwest archaeology, synthesizing thousands of pages of data and text published in seven volumes of contract reports. 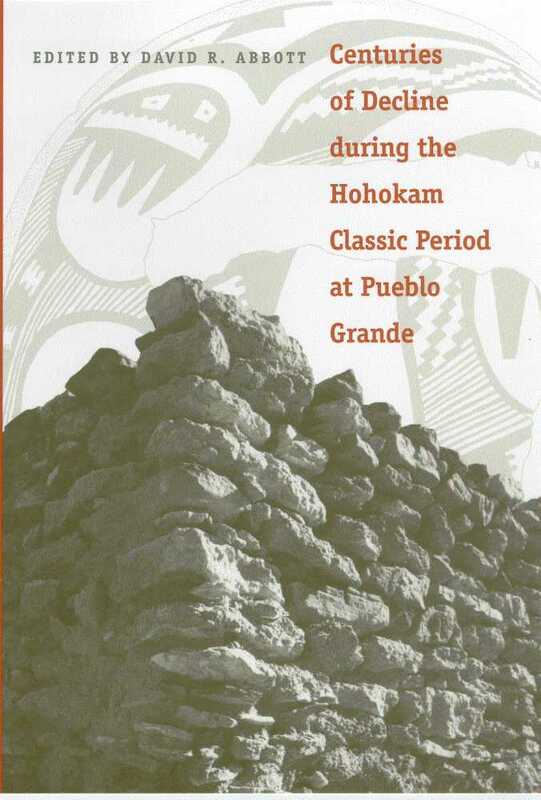 The authors—all leading authorities in Hohokam archaeology who played primary roles in this revolution of understanding—here craft a compelling argument for the eventual collapse of Hohokam society in the late fourteenth century as seen from one of the largest and seemingly most influential irrigation communities along the lower Salt River. Drawing on extremely large and well-preserved collections, the book reveals startling evidence of a society in decline as reflected in catchment analysis, archaeofaunal assemblage composition, skeletal studies, burial assemblages, artifact exchange, and ceramic production. The volume also includes a valuable new summary of the archival reconstruction of the architectural sequence for the Pueblo Grande platform mound. With its wealth of data, interpretation, and synthesis, Centuries of Decline represents a milestone in our understanding of Hohokam culture. It is a key reference for Southwest archaeologists who seek to understand the Hohokam collapse and a benchmark for anyone interested in the prehistory of Arizona. "The interpretations are thought-provoking and run counter to the popular understanding of who the Hohokam were and how masterfully they controlled the world around them... Non-Hohokam specialists and interested lay persons will be stunned by the information, and they will be intrigued by the environmental and social parallels with other portions of the American Southwest. "—Carla Van West, Statistical Research, Inc.